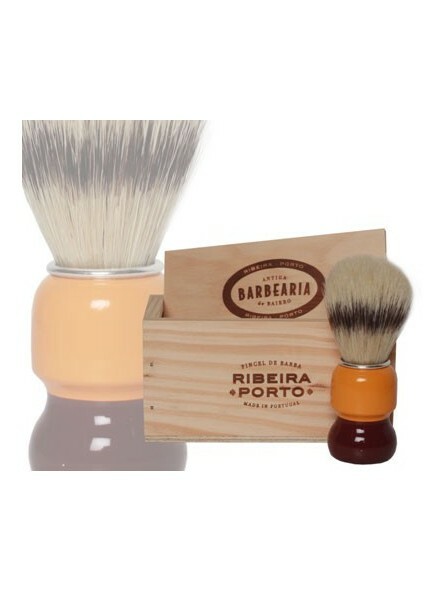 Antiga Barbearia de Bairro Natural Bristle Shaving Brush. Lacquered wooden handle with the traditional and typical colors from the “Ribeira Quarter” in Porto. It portrays the values and design from the Ribeira Porto Collection. Made by Semogue well known manufacturer of excellent bristle shaving brush. 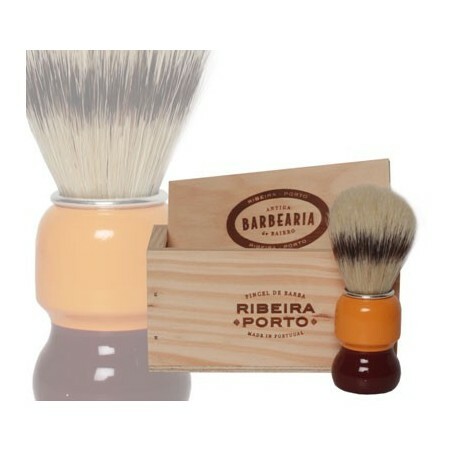 Shaving brush is pack with a wooden box with the brand logo printed hot.